Water2Drink invites you to celebrate to World Water Day 2015! Today is an opportunity to increase water education and awareness of global water concerns, and to take steps to ensure your family, your community, and the worldwide population has access to safe, clean drinking water. Water2Drink.com is proud to be an exclusive Multipure International distributor. With almost 45 years of dedication to water filtration, #Multipure is a pioneer in offering innovative filter technology that provides superior quality and performance. #Water2Drink offers and supports the entire family of NSF-tested and certified drinking #water systems from Multipure. Each product comes with a Performance Data Sheet, a Lifetime Warranty (on the stainless and plastic housings), a 1-Year Warranty on all Accessories, and a 90-Day Satisfaction Guarantee. Contact Water2Drink.com today to begin your journey to Love Water! An interesting study came across the Water2Drink.com news desk this week. It is the 2014 Silent Spring Institute’s “Scientists Identify Highest Priority Toxic Chemicals to Target for Breast Cancer Prevention Study Fact Sheet.” This fact sheet gives breast cancer prevention tips by “identifying high-priority chemicals and evaluating tools to measure exposure” to suspected carcinogens. The measurement methods are called “exposure biomarkers.” They can be used to study cancer risk and assist the public in reducing exposure to known or suspected toxins. Many chemicals, though, have never been studied because there was no reliable way to measure exposure to carcinogens. Scientists need to track exposures to toxins to determine where they come from and to investigate if exposure reduction efforts make a difference. The entire Multipure family of drinking water systems feature a solid carbon block filter that is NSF-tested and certified to the sub-micron level. A #Multipure Drinking Water System does an amazing job of reducing chloramine, chlorine, disinfection by-products, and dozens of other contaminants, both naturally occurring and man-made. Your health is our first concern, and by drinking cleaner, healthful water, you can only improve your health. A Multipure Drinking Water System offers superior quality, innovation, and performance with its solid carbon block filter. Contact Water2Drink today and begin to reduce your exposure to environmental toxins. The March 5, 2015, issue of The Atlantic online magazine (theatlantic.com) covers a consequential story about the Rice family outside of Asheville, NC. Bob and Dot Rice bought a piece of property in 1974, built a home there, raised children, and planned for the property to be passed along to their two sons and their children. The home water source was a local spring a few hundred yards behind the family cabin. According to the article, “after they moved in, the Rices noticed the water coming out of the spring had a salty taste and smelled musty.” They could smell a distinct #petroleum smell coming from their well and spring, “especially when it rained. ‘I got used to it,’ Terry Rice said. ‘We checked for bacteria. We didn’t check for chemicals.’” In 1999, a family friend discovered environmental contamination in the spring, along with barrels from a long-closed factory that once bordered the property. This type of contamination can be an environmental nightmare. A wide range of chemicals can contaminate our water, land, or air, which impacts our environment but also our health. Some pollutants resist breakdown and can accumulate in the #foodchain, being absorbed by fish or wildlife, and then eaten by residents. Contamination can also impact coastal areas, waterways, surface water sources, and groundwater. It can be years or decades before the contamination is identified, and even longer for the sites to be cleaned and the water source becomes healthy again, if ever. To combat environmental contamination, water consumers and home buyers should educate themselves on the surrounding areas. What businesses or industries are or were nearby? Were there #chemicals used in that industry? Has there been environmental testing in the area? Even if your water source is municipal (provided by your city or county), there are many opportunities for water contamination to occur between a water treatment plant and your home. We at Water2Drink.com believe you have the power to protect yourself and your family by using a water filtration device such as a Multipure Drinking Water System. The family of #Multipure Drinking Water Systems are NSF-tested and certified to reduce TCE and dozens of other chemical and organic contaminants, including arsenic, metals and cysts. Each Multipure filter Owner’s Manual comes with a Performance Data Sheet that outlines exactly what contaminants the filters are certified to reduce, and to what degree. Most contaminants are reduced more than 99 percent! The Multipure lifestyle focuses on improving and maintaining your health. Let Water2Drink help you begin the process. Contact us today and find out how Multipure supports a healthy lifestyle. When you think about it, all water on the planet is recycled. The water cycle that we learned about in elementary school (evaporation; condensation; precipitation; collection) shows that the Earth’s water is always in movement on, above, and below Earth’s surface. 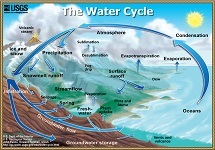 Of the world’s total water supply (about 332.5 million cubic miles), over 96% is saline, or salt water. Of the total freshwater available to us, over 68% is unavailable, frozen into ice and glaciers. Within the #watercycle, the fresh water sources we use (surface and ground waters) are the only waters available to sustain life. So how do we treat this water? Once we use water, it is gathered by sewer or septic field, treated, and released back into the environment. Most of us know generally that water treatment plants collect surface or ground #water, treat it to remove contaminants, and then distribute it to our homes, fire hydrants, and water fountains. Would you like to know a little more about that process? The Environmental Protection Agency (EPA) has created a virtual tour of a water treatment plant so consumers can see step by step what actions are taken in the treatment and delivery of drinking water. The #EPA video explains the difference between surface and ground water, points out potential sources of #contamination, and describes the disinfection process. It is yet another source of information for water consumers as they decide whether this process is enough to protect your health, or if they would like to use a final barrier solution, such as a home-installed #Multipure Drinking Water System. Having fresh, clean water to drink is a basic human necessity. Water2Drink.com believes every person has the right to choose the quality of the water you drink. The solid carbon block filter of a Multipure Drinking Water System can help you achieve superior water filtration to deliver healthier water to your family. Contact Water2Drink today to find out how! What Are Your Drinking Water Standards? Recently, the town of Wrightsville Beach, NC, experienced a violation of the drinking water standard for #trihalomethanes. While the public notice indicates this is not an emergency, it goes on to list the possible health risks associated with the liver, kidneys, and central nervous system, including #cancer. The town is working with the NC Department of Environment and Natural Resources (NCDENR) to bring the contaminant concentration down and into compliance, and that they “anticipate improvements within three months.” The notice also says the public doesn’t need to boil water or take other corrective actions. But during that three-month period, and for potentially longer, the public is still exposed to trihalomethanes in their drinking water. If this happened to your water supply, are you willing to risk your health for three months? The only way to ensure your health and the safety of your drinking water is to be proactive. Using a Multipure Drinking Water System allows you to be in control of the quality of your water source. The Multipure family of filtration products are NSF-certified to reduce trihalomethanes, the offending contaminant, along with dozens of other #contaminants, cysts, and heavy metals. Water2Drink believes the consumer should know exactly what contaminants are reduced by using a #Multipure product. On our website, Water2Drink.com, we have provided links on each product page to the description, features, documentation, specifications, and “What’s in the Box.” Simply click on the Products link on our homepage, then click the drinking water system you are researching. You will find the Performance Data Sheet listed under the “Documentation” tab. You can’t always trust the water source, but you can trust your Multipure Drinking Water System. Your Pet: Merely a Companion, or a Member of the Family? For many of us, our pets are not just a companion to us. Pet owners often consider their pets to be an actual family member. 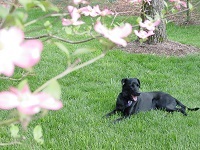 Whether four-legged and #furry, or two-legged and feathery, we want to give our family pets the very best lives we can. Pet industry expenditures have skyrocketed more than 200% in the past 20 years. Pet owners spare no expense on nutritious food, high quality #veterinary care, holiday presents, and necessary pharmaceuticals or surgeries. We devote ourselves to ensuring our pets have a quality of life at least as high as our children or other family members. When providing for the health, safety and comfort of your pet, have you considered the quality of water you are providing? Using water from the tap or from a garden hose can expose your #pets to contaminants that pose a threat to their health. These can include arsenic, cysts, lead, PCBs, and radon. Tap water may be treated in your community, but your pet will ingest the chemicals used in the water treatment process, such as chlorine and chloramine. Filling up their outdoor water bowl from the garden hose poses an entirely new level of contamination, as garden hoses can contain hazardous chemicals and metals such as parasites, lead, cadmium, bromine, and bisphenol A. Also, keep in mind that unlike residential fixtures, #gardenhoses and fittings are not regulated under the Safe Water Drinking Act. You wouldn’t knowingly expose your children or other family members to contaminated water. Your pet’s health is important as well. Just as we’d recommend using a drinking water system for your entire family, we strongly advocate giving fresh, filtered water to your furry friends too. Water2Drink.com can help you choose the filter that will reduce the greatest range of contaminants for all of your family members. As adults, we are able to easily find information about water resources, water efficiency and #conservation. Why not set an example for our next generation, who will be directly impacted by our choices today? Children are naturally curious about the world around them. They are thirsty for knowledge, and they also exhibit compassion for issues that affect them. Bringing water efficiency and conservation to their attention at a young age can allow them to learn and take ownership of this important resource. The Environmental Protection Agency has created “Water Sense Kids,” an easily approachable learning tool. It provides simple examples and promotes water conservation. It also has a link specifically for educators, which provides program materials to be used alongside the “Water Sense” information. Water2Drink.com believes the key to a good life is having great #health. We believe good healthy habits begin in childhood, and drinking plenty of clean, delicious water is a habit that can be easily created in children. Once your #children are treated to healthful #water, they will most likely choose Multipure-filtered water over other beverages. Share your belief in clean water with the children in your life. You will set them on the path to good health for life! Most Americans know the dangers of asbestos, a naturally occurring mineral. Asbestos was heavily used from the 1930’s to the 1970’s as insulation on water or steam pipes, and in floor, ceiling and siding tiles, textured paint and soundproofing materials. Many people believe asbestos was banned from use in the 1970’s, but a complete ban was decided against by the U.S. #Congress, allowing numerous asbestos-containing products to remain on the market. Some of these include construction materials, automotive products such as gaskets and brake pads, and asbestos clothing such as gloves and welder’s blankets. If you suspect your home contains asbestos, don’t panic. Older homes often do contain it, but if the material is in good condition and not deteriorating, the best solution is to leave it alone. Material that is crumbling, or if it has been scraped or sanded, is more likely to create a health hazard. However, even if your home does not contain #asbestos, it is possible that because asbestos is still in our environment, you are at risk for exposure. A recent blog post by Adam Lee, who writes for The #Mesothelioma Center, describes how asbestos can be found in our tap water via its use in the cement pipes of water distribution systems around the country. The U.S. Environmental Protection Agency (EPA) screens for and regulates the levels of acceptable contaminant levels, and in 1992 the EPA added asbestos to the list of #contaminants often found in tap water. Of course the only way to know you are not ingesting asbestos is to filter your drinking water, using a high-quality filter that specifically addresses asbestos as a contaminant. The Multipure family of water filters are all tested and certified by NSF International, the independent third party that is widely recognized around the world for its expertise in testing and certifying consumer goods for health and safety. All Multipure Drinking Water Systems are NSF certified to reduce asbestos. We at Water2Drink.com hope to educate you on the dangers of asbestos, and to reassure you that a simple solution is available. Contact us today and we can assist you in determining the right Multipure system for your environment. While many citizens may see the Environmental Protection Agency (EPA) as a “watchdog” agency for American waterways, the EPA also researches ways to improve our national drinking water systems. Of the nation’s approximate 160,000 public water systems, about 97% of them service fewer than 10,000 people each. These water systems face many obstacles, such as limited funding, aging structures, and the cost of complying with new regulations. The newly funded centers will help bolster these systems’ capacities and capabilities to provide #water throughout the country. The recipients of the funding are the University of #Colorado Boulder’s Design of Risk Reducing, Innovative Implementable Small System Knowledge (DeRISK) Center, and the University of #Massachusetts Amherst’s Water Innovation Network for Sustainable Small Systems (WINSSS) Center. “These organizations are leading the way in developing cutting-edge technologies,” according to the EPA news release. While waiting for these smaller public water systems to implement innovative technology, consumers can ensure their personal drinking water supply is protected by using a high-quality, point-of-use #waterfilter, such as a Multipure Drinking Water System. For pennies a gallon, you can have clean, fresh water at your sink. Call Water2Drink.com today to find out more about how to protect your water supply at home. If you are living in the United States, you probably have never had to ask that question in any restaurant, private home, or business setting. Most Americans believe that the water pouring from their faucets is a reliable source of safe drinking water. Almost no American has ever had to ask, is it safe to drink the water? Clean, safe public drinking water was not always so available. Public water systems began to be established in the 1800’s, yet the first standards for drinking water were not developed until 1914, and even then the standards only applied to interstate common carriers such as trains, buses, and ships. A comprehensive article by Professor James Salzman and published by Slate.com states, “In historic terms, the assumption of safe drinking water is a very recent development.” What we now consider safe, uniform drinking water standards weren’t actually put into place until the Clean Water Act of 1972, and with the passage of the Safe Drinking Water Act (SDWA) of 1974. However, while these measures certainly deserve recognition, there are still significant challenges ahead for public drinking water delivery systems. The Environmental Protection Agency has estimated $384 billion in infrastructure needs ahead to replace aging water mains, which date back to the 1860’s. The SDWA is also faced with “emerging contaminants,” by-products of our modern lifestyle. Newly recognized contaminants from medications, personal care products, and components that act like hormones were unimaginable when our water treatment systems were designed. Even new contaminants introduced by hydraulic #fracking have not yet been addressed. Therefore, these polluted fluids and #contaminants are not now being addressed by municipal treatment plants. These infrastructure changes will take incredible amounts of effort, time and money. Don’t wait for the public infrastructure to “catch up” to what is happening today. Get ahead of these potential health hazards and filter your own water at the point of use. #Water2Drink recommends industry-leader Multipure International as the high-quality, reasonable-cost manufacturer. As these newly emerging contaminants affect our water supply, Multipure is constantly pursuing improvements to their solid carbon block filter to address these concerns. Water2Drink.com is here to help you decide which filter will provide the protection you need. As 2014 draws to a close, we at Water2Drink.com would like to take this opportunity to wish you and your family a healthy and hydrated Holiday Season, and a prosperous New Year! Are You Affected by Storm Events? This week, the U.S. Pacific coast has been dealing with severe storms in California, Oregon and Washington, while the East Coast has been hammered by winter storm #Damon. While you may have been unaffected by these particular storms, across the globe we see evidence of climate change that may directly impact you in the future. According to the article “Thirsty for Answers: Preparing for the Water-related Impacts of Climate Change in American Cities” on the Natural Resources Defense Council website, cities across our country “face significant vulnerabilities due to climate change, ranging from water shortages to more intense storms and floods to sea level rise.” The NRDC believes that action at the local level is going to be the most effective way to reduce or prevent these effects. The NRDC compiled research on 12 U.S. cities, and has prepared a sideshow to offer a glimpse of some of the threats. Nearly all of the cities show “water supply challenges” likely to occur as a result of #climatechange. You can help mitigate storm-related water contamination issues by using a high quality point-of-use water filtration system in your home and office. Water2Drink.com sells only Multipure’s Drinking Water Systems that feature a solid carbon block technology with exceptional performance. The Multipure family of products is NSF certified to reduce a wide array of contaminants, including disinfection byproducts and gasoline additives. These contaminants can get into water sources through storm events, pollution or erosion. Protect your family and your health by using your own trusted water filtration system. Water2Drink is here to help you learn how a Multipure Drinking Water System can deliver the protection you need. 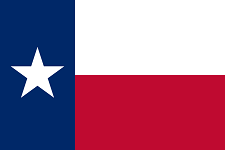 Recently, residents of Abilene, #Texas, have noticed an unusual taste and/or odor in their drinking water. KTXS12 News reports that, in the city’s news release, the City of Abilene says, “the water is safe to drink.” If you noticed an unusual taste or odor in your local drinking water, would you be reassured by that statement? According to the news release from the City of #Abilene, the Water Department staff is experimenting with various solutions to solve the problem, including using “additional treatment chemicals to address the issue.” While we all have heard that Everything Is Bigger In Texas, is putting more chemicals into the water supply a good thing for consumer health? The Environmental Protection Agency (EPA) sets water quality standards for consumer protection. These standards are for a minimum of public safety, and as a consumer you need to ask yourself if minimum EPA standards are good enough for you and your family. It should also be noted that the EPA does not enforce #waterquality standards for taste or odor compounds that do not pose a health risk to the public. The safest, easiest solution is to use a high quality point-of-use Multipure Drinking Water System. Water2Drink.com sells only #Multipure Drinking Water Systems. We have found that Multipure’s unique solid carbon block filter provides a wide range of #contaminant reduction that affects both the healthfulness and the aesthetic properties (taste and odor) of water. Multipure is one of the few companies whose products are tested and certified by NSF International to reduce such a wide array of drinking water contaminants. Bigger is not always better. A small investment in a Multipure Drinking Water System will assure you of cleaner, tastier, and more healthful water. Contact Water2Drink.com today and let us help you choose the right system for your family. Have you wondered why Multipure product prices are not discounted, and whether it’s possible to receive any type of discount on Multipure products? Multipure produces superior water filtration products, and the performance of these products is tested and certified by NSF, the organization that sets the industry standards for objectively comparing drinking water systems. As such, the prices set by the manufacturer reflect their extensive investment in research and development, product design, performance testing, and system warranties and guarantees. Therefore, Multipure believes its prices are fair and reflect the superior quality being offered to you, the customer; therefore, neither Multipure nor their distributors #discount the purchase price of these products. Nonetheless, Water2Drink.com can save you money on your next Multipure purchase. If you are looking to buy a water filtration system, select the popular Filtermania option. This offer (available on the Aquadome, Aquaversa and Aquaperform systems) bundles the cost of 10 years of replacement filters into the initial purchase price, and you receive the water filter system for free. 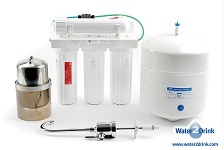 Your initial shipment includes the free water filtration unit and one filter. Shortly thereafter, you receive coupons for the remaining nine filters. A week or two before you need to replace the filter, simply mail in one of the coupons to Multipure and a new replacement filter cartridge will be shipped directly to you. The Filtermania offer locks in the cost of replacement filters for 10 years at today’s prices, and Multipure only charges you the current shipping fee of the filter. This attractive offer is expected to be eliminated in 2015, so now is the time to get your free water filtration system! For new system purchases, Multipure also allows distributors to offer a purchase promotion to their customers. Multipure purchase promotions change every quarter, and they can be combined with the #Filtermania promotion. With the purchase of a new drinking water system, in the past we have offered a free Aquashower Filter, a discount on a specific product, or a promotional product such as an Emergency Filter. This purchase promotion is offered exclusively through Water2Drink as a Multipure distributor. If you already own a #Multipure system, another way to save is by joining the Automatic Filter Replacement Plan. By signing up for automatic annual filter replacement, you can take 15% off the retail price of a Multipure CB6, CB6AD or CB11As replacement filter cartridge, both now and on future purchases. Multipure will ship to you a fresh new replacement filter cartridge every 12 months and charge your credit card for the discounted purchase price (plus shipping and sales tax, where applicable). These cost saving opportunities are always showcased on the Water2Drink.com website. Simply click on “Current Promotions” under the Buy Now tab to all current offers. You can select the promotion during online checkout, or call us to place your order and take advantage of these cost savings over the phone. You can save money buying a Multipure! Should I Be Drinking Coconut Water? You can’t pick up a fitness magazine or read an online article that doesn’t tout the benefits of coconut water. Even non-athletes buy into the claim that #coconutwater is full of electrolytes, potassium and other nutritional benefits. But is it all just marketing? A recent article from Time.com asked the experts, and four out of five agreed that there are other factors to consider. Coconut water can have as much sugar as a banana, even an unsweetened version, but have none of the beneficial fiber. Fresh, clean water is the most suggested fluid for general fitness enthusiasts. If you don’t want to pay for expensive, exotic water from a coconut, we recommend a Multipure water filtration system. Water2Drink.com offers the entire #Multipure family of products, from the Aquamini travel version, to the AquaRO, a full reverse osmosis system, and everything in between, including the Aquaperform which reduces #arsenic as well. For just 9 cents a gallon, you can have fresh, filtered water at your fingertips for post workout hydration, food preparation, and ice. Crack the coconut nutritional myths, and contact Water2Drink.com to help you choose which Multipure system makes sense for you. In the United States, Canada, and other first-world countries, we are fortunate to have national and state regulations enacted to protect our public water supplies. These agencies, along with your local water provider, are tasked with delivering to the public clean, disinfected water in order to prevent the spread of disease. The most common disinfectants used today are chlorine and chloramine. While these disinfectants are entirely necessary, even when used within federal regulation guidelines, there still are serious health issues associated with routinely ingesting such substances. Chlorine is highly effective for the disinfection of water. However, challenges occur in the disinfection process because chlorine can react with organic materials in the water, especially from surface water sources. This results in what is called “disinfection byproducts,” and these byproducts, such as Trihalomethanes (TTHM), have been identified as #carcinogens and can lead to serious illness. Some water supply companies have made the switch from #chlorine to chloramine. Chloramine (also referred to as monochloramine) is a combination of chlorine and ammonia. While chloramine is less likely to produce disinfection byproducts, it is a less effective disinfectant than chlorine. It can also change the chemical properties of water, which can foster corrosion and cause pipes to leach lead and copper into the water. Both chlorine and #chloramine are toxic to fish, aquatic animals, reptiles, and amphibians. 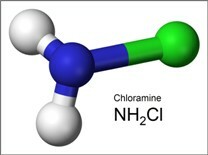 While chlorine may dissipate from water if left to sit out for a few days, chloramine cannot be removed in this manner. Chloramine cannot be removed by either boiling or by the #distillation process. In addition, chloramine vapors and disinfection byproducts can accumulate in indoor air. The only effective way of removing these disinfectants from your water is through point-of-use filtration with a high quality carbon filter. The Multipure family of water filtration systems reduces chlorine and chloramine to the lowest possible levels, and these reductions are tested and certified according to NSF/ANSI Standards. While many water filters on the market make claims as to the reduction of disinfection chemicals and by-products, many are not effective in reducing chloramine. You must insist on seeing #NSF testing and certification of these claims. #Multipure drinking water systems lead the industry in contaminant reduction, and this includes the harsh chemicals used to disinfect your water. Water2drink.com is pleased to help you choose the proper filter system to meet the needs of your family and home.